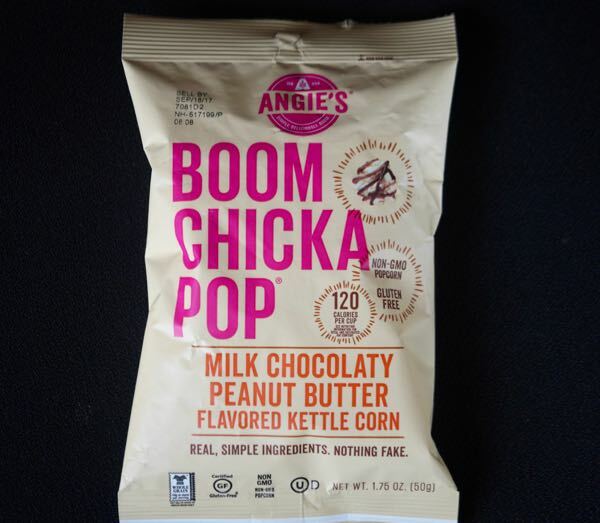 Today's Boom Chicka Pop Milk Chocolatey Peanut Butter Flavored Kettle Corn was from Angie's Artisan Treats, Inc. (N. Mankato, MN). I don't generally eat kettle corn; it's too sweet for me. And while I do like dark and "dark milk" chocolate accents for snacks, sometimes a lighter touch is better. 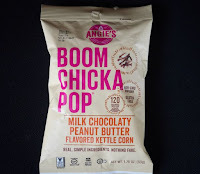 This kettle corn, made with Non GMO popcorn, was lighter on the sugar. And the light drizzle of milk chocolatey peanut butter flavor wasn't too excessive. The flavoring was enough to add some accent flavor without overwhelming the popcorn. 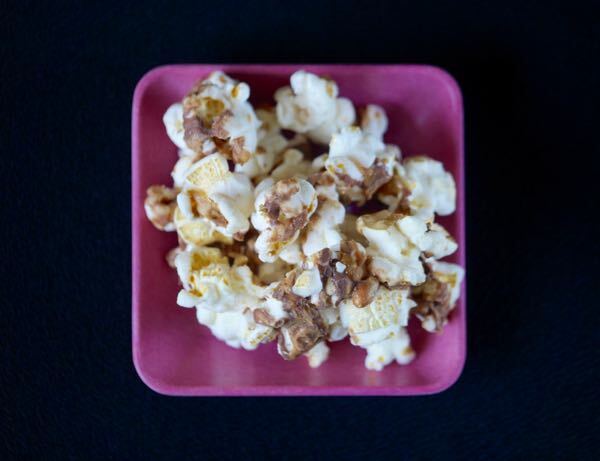 Today's kettle corn contained no high-fructose corn syrup or trans fat and was gluten free.